In celebration of International Women's Day, we proudly present our case for increasing diversity in NDT. Studies show that diverse teams – gender diverse and racially diverse - lead to more innovation and progress in an organization. A recent article in Scientific American pointed out that “[a] male and a female engineer might have perspectives as different from one another as an engineer and a physicist—and that is a good thing.” Differing ideas force people to look at things in different ways and work harder to support their own ideas, which breeds creative problem solving. In the NDT field, where technology is always changing and new challenges arise daily, creative problem solving is a necessity. The same article cites studies by business professors at the University of Maryland and Columbia University that show that in S&P’s top 1500 companies, “on average, female representation in top management leads to an increase of $42 million in firm value,” and that “companies that prioritized innovation saw greater financial gains when women were part of the top leadership ranks.” A recent Gallup study also supported the notion that hiring a demographically diverse workforce can improve a company's financial performance, stating that “[g]ender-diverse and engaged business units outperform those that are less diverse and less engaged." Clearly, having teams comprised of both men and women adds significant value to an organization. Why else does diversity matter? Diversity means difference. And difference challenges status quo. With a diverse workforce, it is impossible to stagnate on the same hamster wheel, because there are fresh perspectives injected into the situation, forcing teams off the wheel and propelling them into forward motion. With a diverse workforce comes an influx of new talents, skills, and experiences, leading to more flexibility in dealing with challenges and opportunities for producing new ideas. A larger talent pool means more candidates to choose from and more perspectives and skills to add to your organization’s workforce. When there is a diverse workforce, employees feel there is more inclusion and equity in the workplace, which leads to them feeling more empowered and appreciated. And that leads to more engagement in their jobs. Better engagement = Better performance of employees = Better performance of organizations. All of this leads to innovation, the lifeblood that fuels the continued success of any organization. Making diversity in the workplace a priority proves beneficial again and again, both in terms of providing broader perspectives and different approaches to challenges and in offering new solutions and ways forward, leading to an improved bottom line. So, the next time you feel like your organization is floundering, look around you. Maybe it’s time to start adding diversity into your team. Meet the latest board member of the AATA family, Sarah Brennan. Sarah Brennan is Vice President and Los Angeles Area Manager of Self-Help Federal Credit Union, one of the largest community development credit unions in the country. Sarah leads Self-Help's Los Angeles presence, managing a team of 17 staff to operate LA's retail branches, and originates commercial real estate loans of $20+ million to nonprofit organizations and businesses that create and protect wealth in under-served neighborhoods. Prior to her work in community development finance, Sarah worked in public policy at the local and federal levels with a focus on economic development, including five years at Los Angeles City Hall as Director of Policy for the Seventh Council District. Sarah received a B.A. in Political Science from Carleton College and a Masters in Public Policy from the Sol Price School at the University of Southern California. She was recognized as a leader in the community development field by Opportunity Finance Network as a 2015 fellow. AATA opens a new location at the March Air Force Base in Riverside, CA. Click on the image below to read more! Founder of AATA, John Stewart will be the Plenary Speaker at the ASNT Fall Conference 2017 in Nashville, TN. AATA gets featured in the American Welding Society's publication "Inspection Trends"
Meet our Instructor, Mike Kochanski! Michael Kochanski has been instructing classes at AATA since its inception. He instructs NDT Math, VT, PT, MT, Radiation Safety, RT I and RT II. Previously he worked for Tulsa Gamma Ray (Tulsa, OK) and Longview Inspection (Portland, OR) where he was a Level II in PT, MT, RT and UT-T. He has gained experience in inspecting materials from the oil and petroleum industry to Aerospace components. While at Longview Inspection he was the lead FAA Inspector and examined many different aircraft components using several inspection methods. Michael is a current member of the American Society for Nondestructive Testing (ASNT). He graduated valedictorian from Spartan School of Aeronautics in 1998 with an Associates of Applied Science in Quality Control with a focus on Nondestructive Testing. He is currently certified as an ASNT NDT Level III in PT, MT and RT. Listen to our Director of Outreach and Human Resources, Megan Green discuss AATA and the NDT industry on 100.3FM, the Sound LA! Megan Green, Director of Outreach and Human Resources for AATA, talks about the Academy and careers in Non Destructive Testing. Hear more from Megan on 5900 Wilshire. AATA's NDT Apprenticeship program kicks off for 2017! The Spaceship Company and IQS Integrated Quality Service taking full advantage of the CA NDT Apprenticeship program. Employers who sign up receive free NDT training for their new or current employees! Find out how by contacting us at stewart@nditeach.org. Attention all Inspectors, Manufacturing Engineers, Industrial Engineers, Quality Engineers, NDT Engineers, Level 1, 2 and 3! CSULA and AATA will be conducting a CWI preparatory course directed towards those who would like to take the CWI exam to the AWS D17.1 endorsement. If you are in aerospace welding, design, testing or inspection and work with AWS D17.1 you will not want to miss this course! AWS D17.1 covers fusion welding of aerospace applications such as Orbital Tube Welding, Friction Stir Welding, and Electron Beam welding. "The specification provides the general welding requirements for aircraft and space hardware It includes but is not limited to the fusion welding of aluminum-based, nickel-based, iron-based, titanium-based, magnesium-based and cobalt based alloys using electric arc and high energy beam processes. There are requirements for welding designs, personnel and procedure qualifications, inspection, and acceptance criteria for aerospace support and non-flight hardware. Also, additional requirements cover repair welding of existing hardware." The course is five days, two days of fundamentals, two days of practicals and one day dedicated to AWS D17.1 Course will take place the week of Jan 16th - Jan 20th, 2017 and March 27th - 31st at California State University Los Angeles. Early bird special of $800.00 if you register by December 15th. After Dec 15th the cost will be $1050.00. Only 20 spaces available and we will fill up fast. Register now! Nina Choy from California Department of Transportation visits AATA. Nina Choy visits AATA to talk about the opportunities at CALTRANS and to share her experience as a Project Engineer at the California Department of Transportation. AATA Founder John Stewart speaks at the 75th ASNT Fall Conference 2016 in Long Beach, CA. In this video John Stewart talks about the untapped resources in NDT, the unconscious biases, lack of diversity and the steps he is taking to avoid these issues and lot more interesting facts about NDT industry. This talk was presented at the 75th ASNT Fall Conference 2016 in Long Beach, CA. A comprehensive view of the market for equipment being used within NDT services, along with analysis of all key industries where NDT services are being applied. We would like to announce that Orange Coast Testing Inc. has partnered with us and joined our NDT Apprenticeship Program! We are proud to announce that Integrated Quality Services (IQS) has agreed to participate in our federally approved NDT Apprenticeship Program! IQS has been supportive of AATA and our mission to CHANGE LIVES and LAUNCH CAREERS since day one. Your support will allow us to continue to provide opportunity and change the lives of many. Thank you IQS! We are looking forward to continuing our relationship and developing your employees! We are thrilled to announce that The Spaceship Company (TSC) has agreed to join our Non Destructive Testing (NDT) Apprenticeship Program! We are excited to train their employees and further their career development! The future of AATA looks bright! It's official! 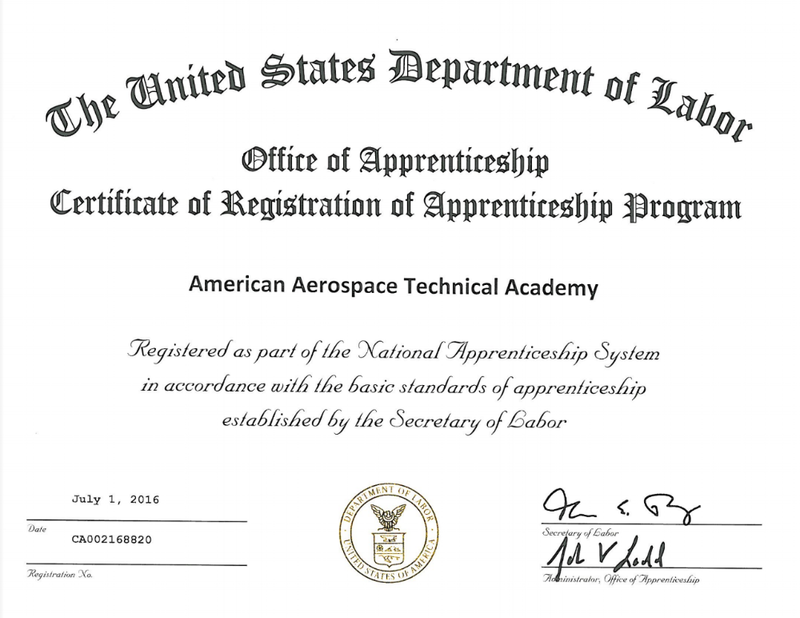 Our NDT Apprenticeship Program has been approved by the Department of Labor's Office of Apprenticeship! AATA is extremely appreciative to have the support of First District Supervisor Hilda L. Solis Of the Los Angeles County Board of Supervisors. On June 8th 2016, AATA received an award of $7500 from Hilda Solis. This award will help many who have been disenfranchised and or who have served our country and are starting a new career! Thank you Hilda! Pratik Wagh is a Mechanical/ Materials Engineer and his primary area of expertise is Nondestructive Testing and Evaluation (NDT &E) using advanced Ultrasonic Techniques like Phased Array and TOFD. Previously he worked with the Advanced NDT Services (ANDE) division at Acuren Inspection and Materials Testing Inc. and Applus RTD to perform NDT inspections within North America (US, Canada, Mexico) and sometimes internationally. GRANT WILL BE USED TO LAUNCH AN APPRENTICESHIP PROGRAM TO PROVIDE HIGH-TECH JOB TRAINING FOR VETERANS, WOMEN & MINORITIES AT NO COST. 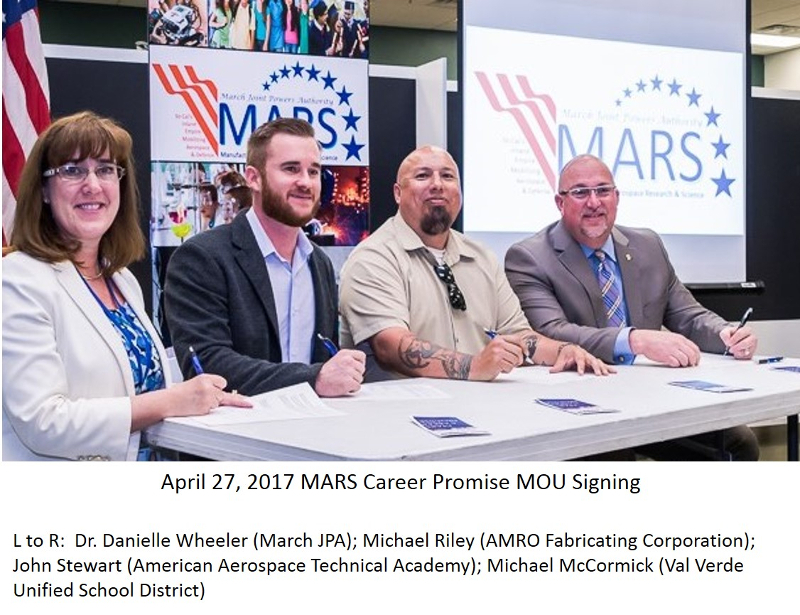 Los Angeles, CA - The American Aerospace Technical Academy (AATA), along with California State University Los Angeles and Los Angeles Uniﬁed School District DACE Apprenticeship, have been awarded a $1 million dollar grant by the California Community Colleges Chancellor’s Ofﬁce Workforce and Economic Development Division for Non-Destructive Testing (NDT). As part of this grant, AATA will work with Southern CA employers to build and employ an apprenticeship program for NDT training in Phased Array Ultrasonics, Computed and Digital Radiography, Magnetic Particle, Penetrant, Visual, Eddy Current and many other NDT inspection technologies. AATA is a Los Angeles-based 501c3 nonproﬁt whose mission is to empower Los Angeles women and men living below the poverty line and veterans with poor job prospects through tuition free Non-Destructive Testing (NDT) training. After completing AATA’s 12-week Non-Destructive Testing Technologies Certiﬁcate Program, students are immediately qualiﬁed for meaningful, well-compensated, and in-demand careers at no cost to them or their employers, thus strengthening families, communities, and industries throughout the region. The program provides rigorous STEM classroom education and hands-on training with industrystandard equipment. It includes qualiﬁcation courses in radiographic inspection and testing; digital radiography; computed radiography; radiation safety; ultrasonic, ultrasonic phased array; advanced phased array on weld inspection; magnetic particle; and penetrant inspection, as well as a preparation course in NDT math.